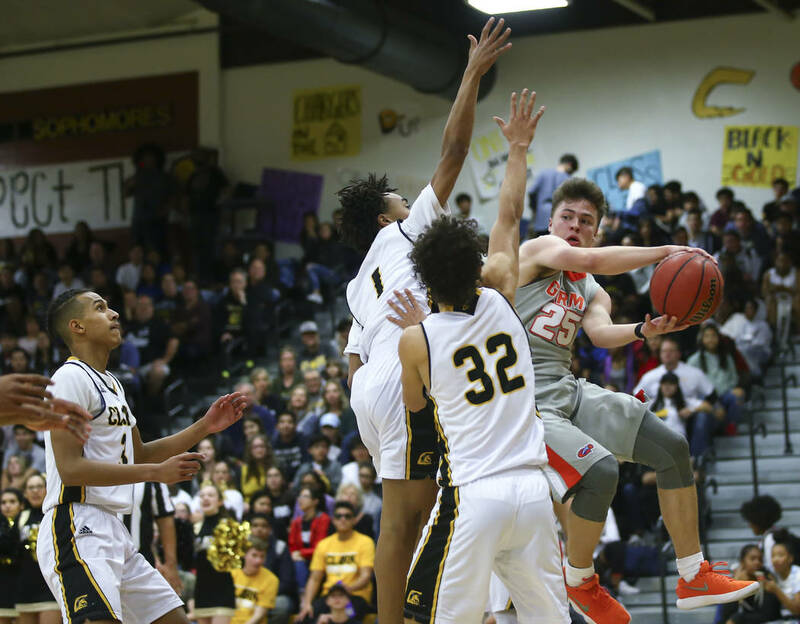 The 6-foot-1, 175-pound lead guard now has six Division-I offers after scoring one from New Mexico on Tuesday. High-major programs like Oklahoma and Texas Christian have also offered Collins, solidifying his unwavering belief that he is one of the best primary ball handlers on the West Coast. 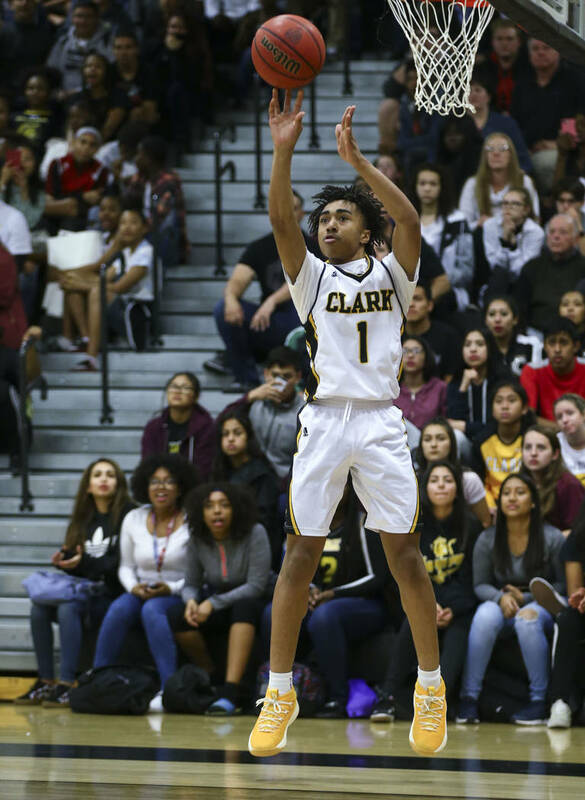 Clark sophomore Frankie Collins was always quick enough to get to the basket, always crafty enough to finish at the rim and always skilled enough to create for his teammates. Now, he’s mature enough to know when to do what. The 6-foot-1, 175-pound point guard has six Division-I offers after scoring one from New Mexico on Tuesday. 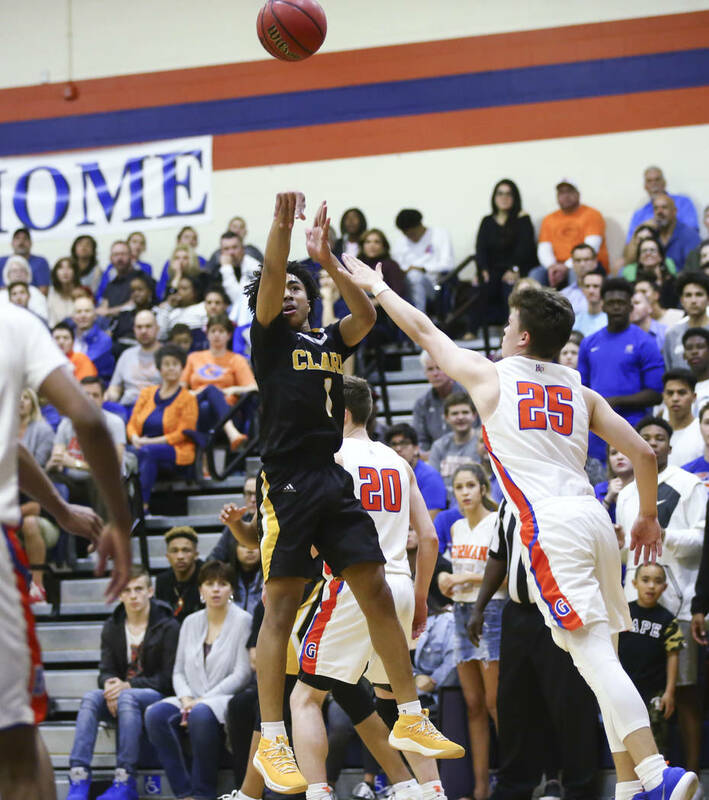 High-major programs like Oklahoma and Texas Christian have also offered Collins, solidifying his unwavering belief that he is growing into one of the West Coast’s best primary ball handlers. 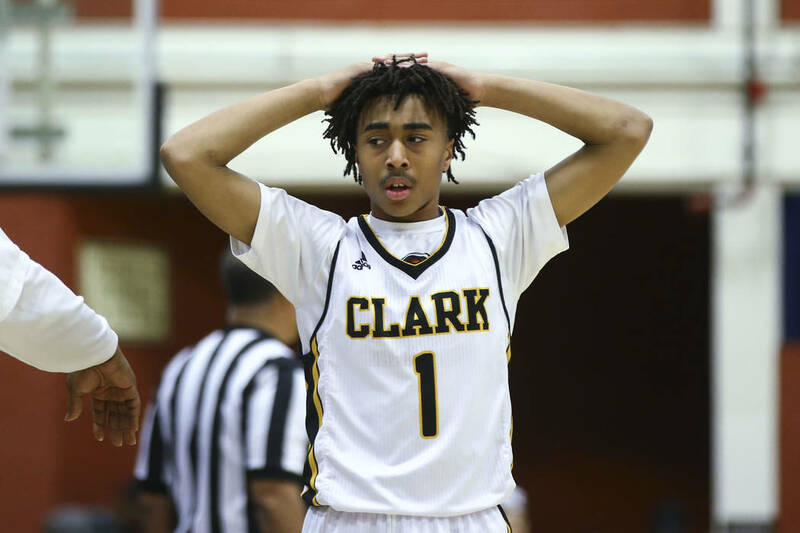 Collins grew up in Sacramento, California, and moved during middle school to Las Vegas, where he promptly established himself as one of the top young guards in the city. He spent a few weeks during eighth grade in Milwaukee with his his uncle, Monty Buckley — then an assistant coach with the NBA’s Bucks — to observe how professionals practiced and prepared. Collins was inspired by that experience, and continues to work out multiple times a day. 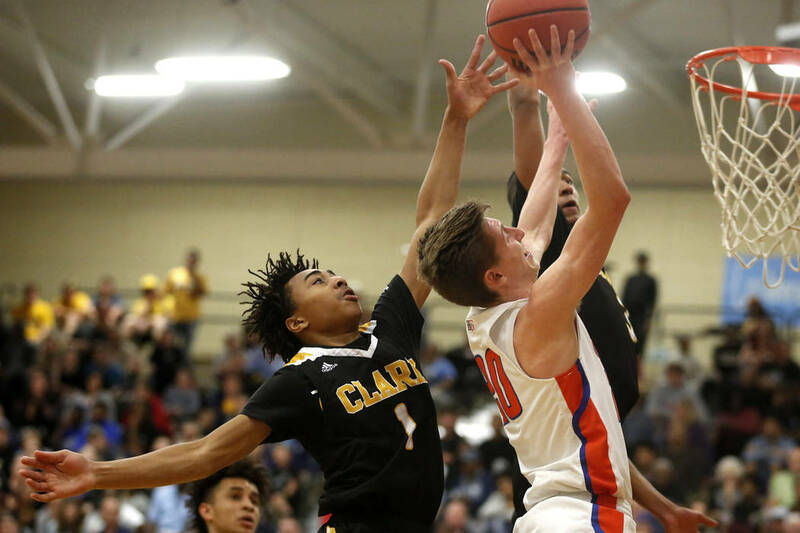 He earned a spot on Clark’s varsity team last year as a freshman, and averaged 6.5 points and 1.7 assists for the Chargers while finding a fit alongside several Division I upperclassmen. So Collins continued his rigorous training during the club basketball season, and was ready to assume the a bigger role for the Chargers in the fall. He’s playing at his pace this season, and has a much better feel for when to score or facilitate. And the requisite skill to do both. In turn, he’s averaging 11.6 points, 4.3 assists and shooting 48 percent from the field. Faith Lutheran senior defensive back Greg Oliver and Desert Pines running back Jamel Brown announced their respective commitments via Twitter to Portland State and Charlotte over the weekend. Centennial senior guard Ajanhai Phoumiphat also announced her commitment to Chicago State. Their commitments are non-binding and won’t be official until they sign national letters of intent. Football signing period begins Feb. 6., and basketball signing period begins Apr. 17. 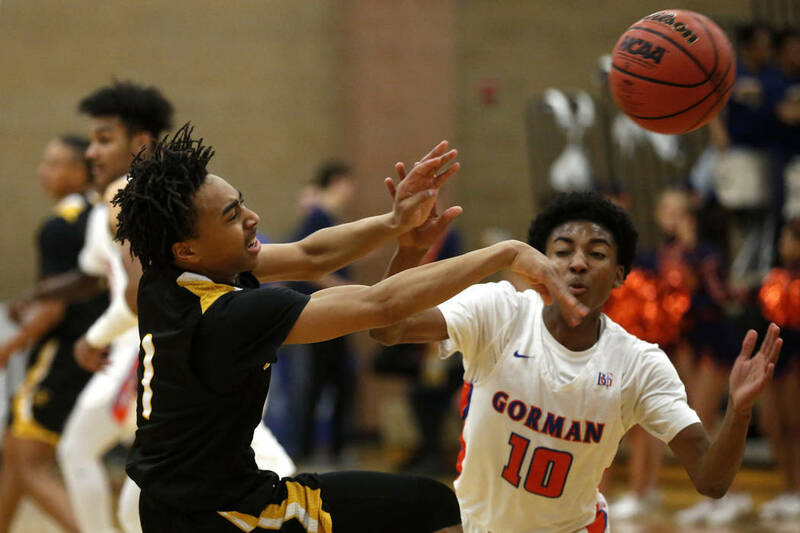 Bishop Gorman’s boys basketball team remained No. 9 in USA Today’s Pacific Region Rankings. The Gaels (16-3) on Saturday beat rival Findlay Prep (15), then the No. 10 team in the region. The Pilots have dropped out of the top 10.